Gelsenkirchen - FC Schalke 04 were stopped one game short of a record seventh straight win after 1. FC Köln secured a 3-0 win at the VELTINS Arena thanks to goals from Anthony Modeste, Yannick Gerhardt and Simon Zoller. Köln started well with Modeste soon through on goal, but Ralf Fährmann remained on his feet, defiantly to deny the Köln forward. The Frenchman then curled a shot just wide of the right-hand upright before half of the VELTINS Arena were on their feet when Klaas-Jan Huntelaar's header had the net rippling, albeit only the side netting. Yannick Gerhardt and Leroy Sane both had chances before Modeste opened the scoring right at the conclusion of a goalless first half, his low shot squirming under Fährmann. There was little change in the flow of the game in the second half either with Köln continuing to ask the questions and Modeste going close again midway through, while Horn watched on redundantly from the other end of the field. Johannes Geis gave Horn some work with a curling free-kick which the Köln custodian turned wide before Gerhardt earned the Billy Goats some breathing room with a fine second. Substitutes Kevin Vogt and Zoller then combined to make it three and finish Schalke off. 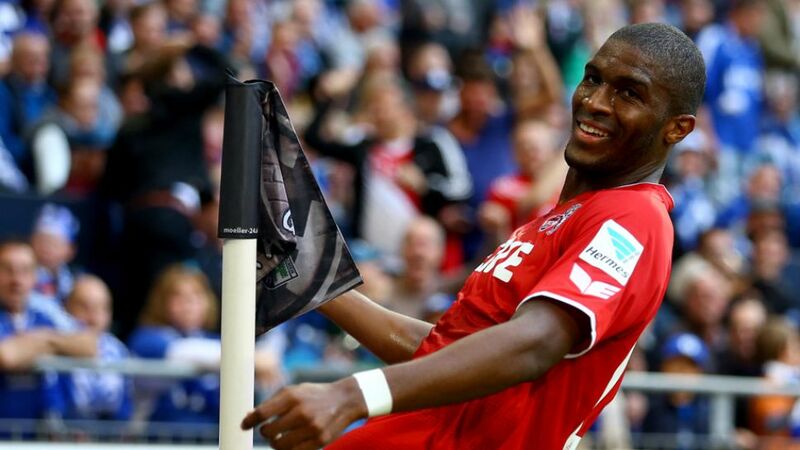 If Köln did not have Anthony Modeste they might find themselves inside the bottom five rather than the top five. The summer recruit from Hoffenheim has had a hand in eight of their 13 goals this season and he was simply too hot for the Schalke defence to handle on Sunday, his strength, pace and close control causing a whole host of problems. For the first time this season, Köln were up against a side from higher in the league than they were, and they stepped up to the plate in style. Showing no fear, Peter Stöger's Billy Goats played as if it were they who were higher in the table than their hosts, and they very nearly are having now narrowed the gap between the two sides to two points, making a mockery of the Royal Blues' six-game winning streak.